· "The Blacklist" will now be having a two-day/two-part premiere. Part one will air Thursday, Jan. 3 at 10 p.m. ET/PT and part two on Friday, Jan. 4 at 9 p.m.
· The move gives "The Blacklist" a coveted lead-in of the premiere of "The Titan Games" (Thursday, Jan. 3 from 8-10 p.m.). · An encore of part one of "The Blacklist" premiere will air Friday, Jan. 4 at 8 p.m.
· The regular timeslot for "The Blacklist" will continue to be Fridays at 9 p.m.
· Upon conclusion of the fall finale for "Blindspot" on Friday, Dec. 7 at 9 p.m., "Midnight, Texas" will shift to Fridays at 8 p.m. beginning Dec. 14. · New Friday lineup going forward beginning Friday, Dec. 14 (excluding Dec. 21) will be "Midnight, Texas" (8-9 p.m.) and "Dateline NBC" (9-11 p.m.). · The sixth season of NBC's "The Blacklist" will premiere with a two-hour special on Friday, Jan. 4 from 8-10 p.m. ET/PT and air regularly on Fridays from 9-10 p.m. beginning Jan. 11. 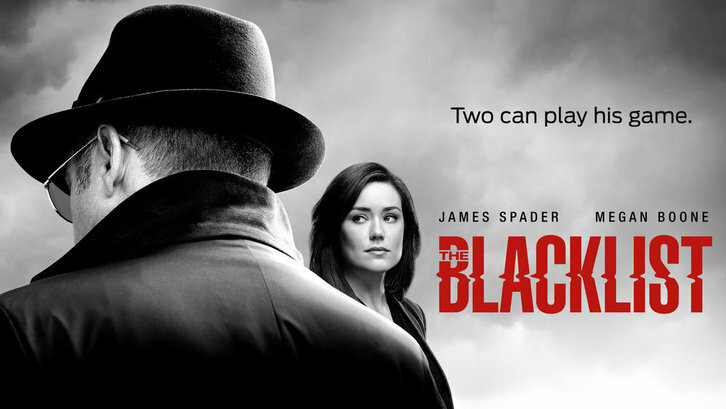 · Following the startling revelation that Raymond "Red" Reddington (James Spader) isn't who he says he is, Elizabeth Keen (Megan Boone) is torn between the relationship she's developed with the man assumed to be her father and her desire to get to the bottom of years of secrets and lies. Meanwhile, Red leads Liz and the FBI to some of the most strange and dangerous criminals yet, growing his empire and eliminating rivals in the process. All throughout, Liz and Red engage in an uneasy cat-and-mouse game in which lines will be crossed and the truth will be revealed. · Last season "The Blacklist" averaged a 1.6 rating in adults 18-49 and 8.6 million viewers overall in "live plus seven day" figures from Nielsen Media Research, to finish #2 in its competitive Wednesday 8-9 p.m. time period in total viewers and improve the slot by +1.4 million persons or +20% versus NBC's year-earlier results (8.6 million vs. 7.2 million). · "The Blacklist" also stars Diego Klattenhoff, Harry Lennix, Amir Arison, Mozhan Marnò and Hisham Tawfiq. · "The Blacklist" is a production of Davis Entertainment in association with Sony Pictures Television and Universal Television.